Gold is your favorite color to decorate with; you love neutral rooms with lots of gold accents. The sparkle and shine brightens up a space like nothing else. So when it came time ti replace your flooring, you wanted something that would reflect your love of gold while still remaining a somewhat neutral base color. After countless hours of searching, you finally came across Sienna Gold travertine tile and knew you had found your perfect match. 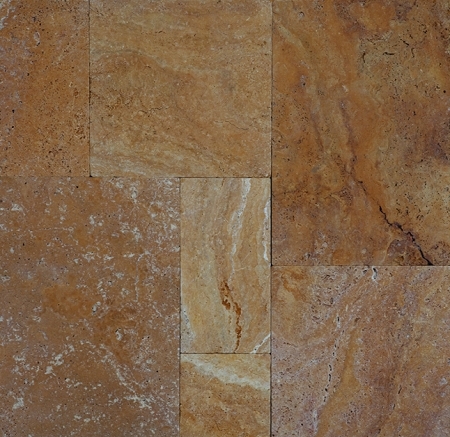 With a mix of dark and light golden honey hues, this travertine tile is the ultimate gold accent for your home. The tumbled finish gives the tile a smooth, more natural look. The cream colored veins that run throughout give the tile visual interest, and after it has been installed, you think to yourself that a more perfect tile could not ever have been created.